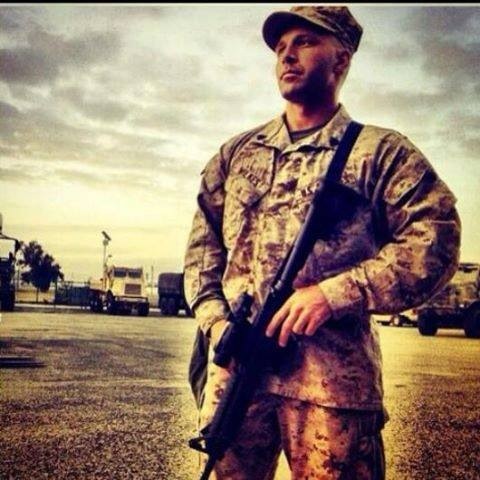 Marine Sargent Jesse Allen Wilkes grew up in the San Fernando Valley. He graduated from El Camino Real High School and Cal State Northridge. His marine reserve was deployed to Afghanistan where his primary mission in consisted of running the Howitzer guns of an artillery unit. Jesse had dreamed of serving his nation since childhood. He was a dedicated marine giving 6 years of his life to his country. Jesse participated in a neighborhood dodgeball club and was a member of Silent Natives, a motorcycle riding club made up mostly of veterans. Jesse just settled into a home in Chatsworth and adopted a new puppy Loki, who passed 10 weeks after Jesse’s death. Jesse’s friends and family continue to fight for change in his memory. Jesse faced many dangers during his tour in Afghanistan. His training and bravery allowed him to survive the volatility of insurgency and return home safely in December, 2009. But the 27-year-old was defenseless on April 27, 2013 when a driver cut in front of his motorcycle to make a left-hand turn on Devonshire Street and Winnetka Avenue in Chatsworth. Jesse, this brave Marine, died shortly after the impact. ”The biggest fear of a motorcyclist is that a person in an automobile will make a quick left hand turn in front of them without any notice. The accident could have been prevented with a left turn signal in place and working correctly,” said Jesse’s mom, Kimber Lee Wilkes of Westlake Village. On May 1, 2013, Jesse’s family and friends in the thousands, including fellow motorcyclists, marines and fraternity brothers, gathered for a candlelight vigil at the crash site, to pay tribute to this decorated American hero. Also attending the vigil in Chatsworth were Los Angeles Council members Dennis Zine and Mitchell Englander, who announced the dedication of this intersection to Jesse, calling it the Jesse Wilkes Memorial Intersection. In addition to installing a protected left-turn arrow at the intersection they would install a plaque at the site, with Jesse’s name on it. As a result of the tragedy, the family and friends of Jesse, have begun a campaign to prevent similar tragedies from happening to other families. Kimber, Jesse’s mother, Bill Lassetter, Jesse’s stepfather, and his many friends created The Jesse Wilkes Memorial Foundation. • To promote the implementation of safer stoplights, with regard to protected left hand turn signals at dangerous intersections. • To aid the victims of vehicular accidents that occurred at unsafe stoplights. • To aid the families of such victims and to increase public awareness of sharing the roads with all types of vehicles.